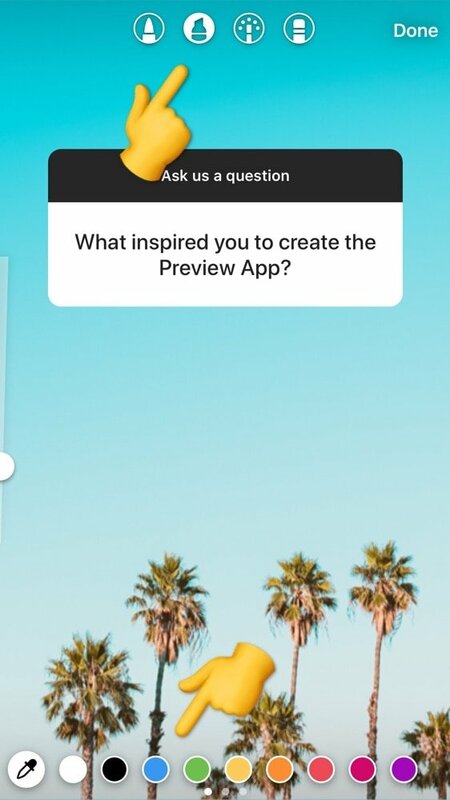 I know I’ve already covered this in our tutorial on how to use the Question feature. But many people ask us for a separate tutorial. So here it is! This one’s just for you. 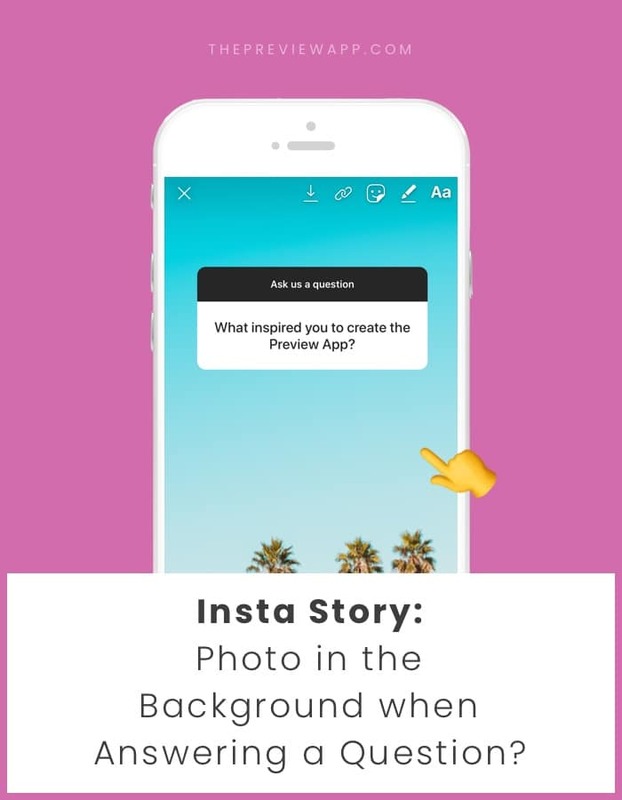 When you answer an Insta Story question, you can upload your own photo or video in the background. 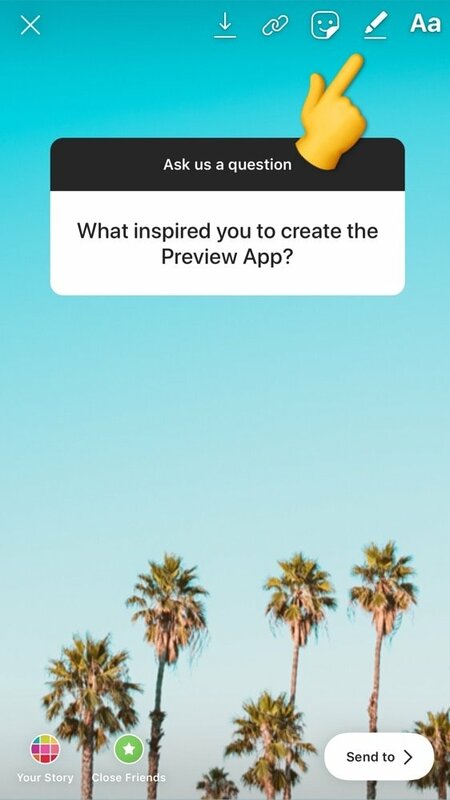 You can choose your photo or video from your camera roll. 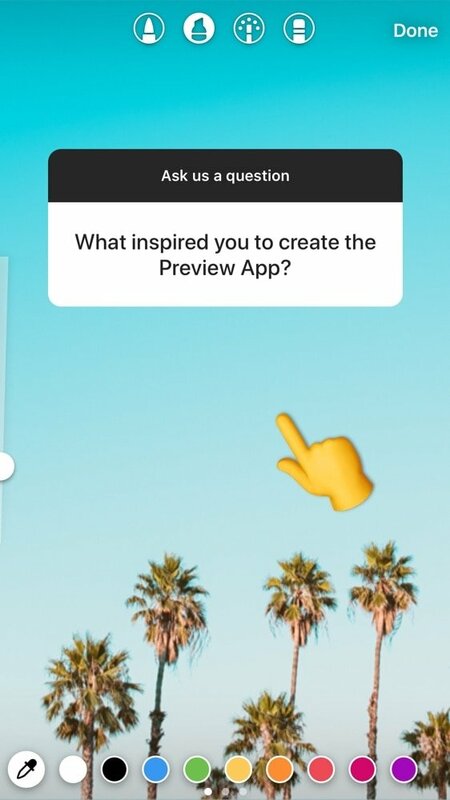 It’s a pretty cool feature if you like to customize your Insta Stories. 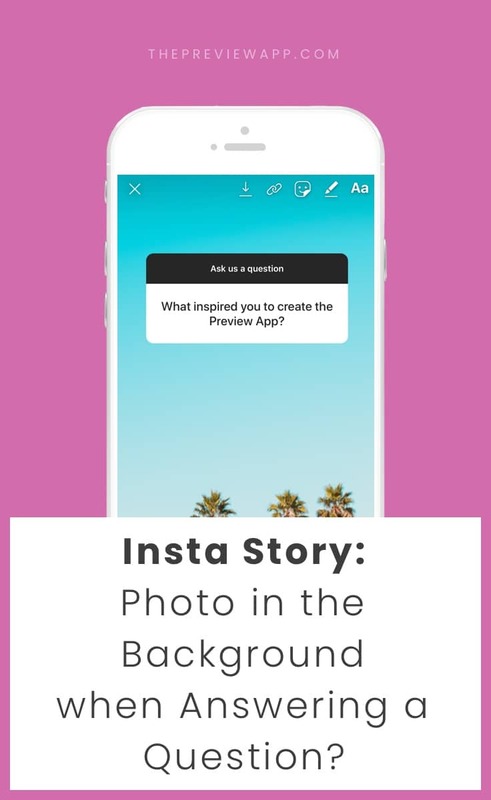 You can use your photos that fit your “feed aesthetics” or you can upload your Insta Story templates. 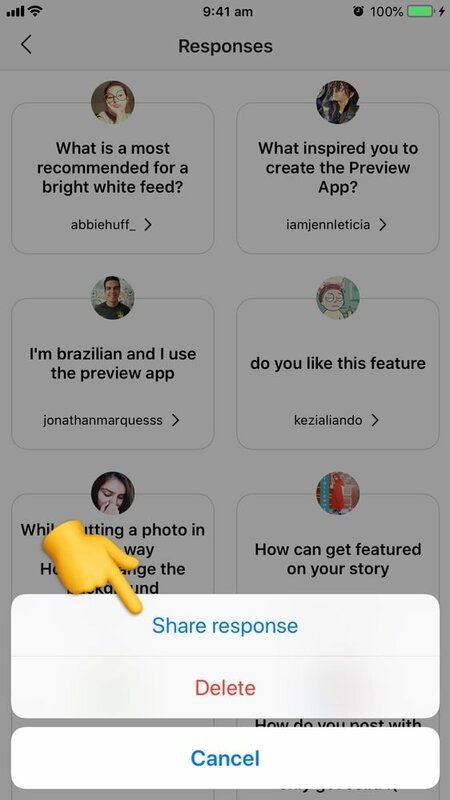 The first thing you want to do is to share a response, so you can change its background. 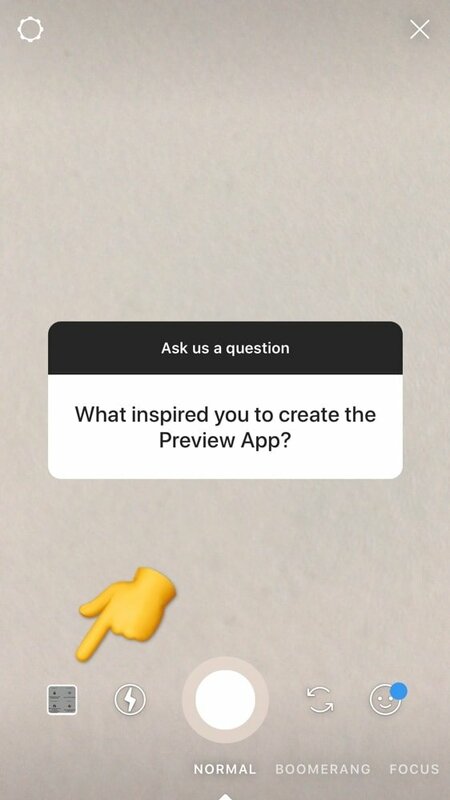 The question / answer will appear in your Insta Story, as a new Insta Story. 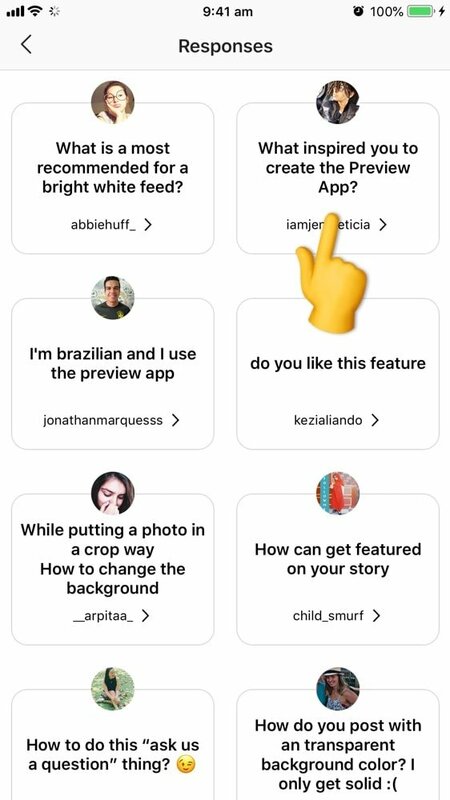 If you don’t see it, try to “swipe” up on your screen to open your camera roll (this usually works for people who don’t have the camera roll thumbnail). If your photo is too strong and you can’t really see the answer that you wrote, this is a good trick. You can add a transparent color on top of your background photo. 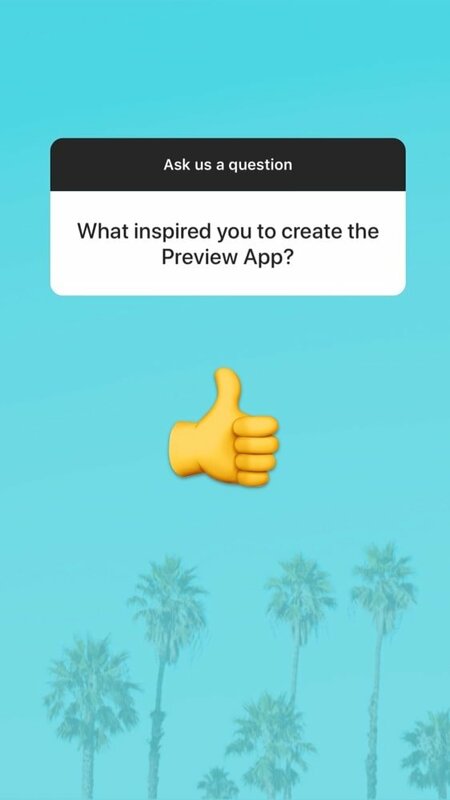 It will make it easier for people to read your answer.